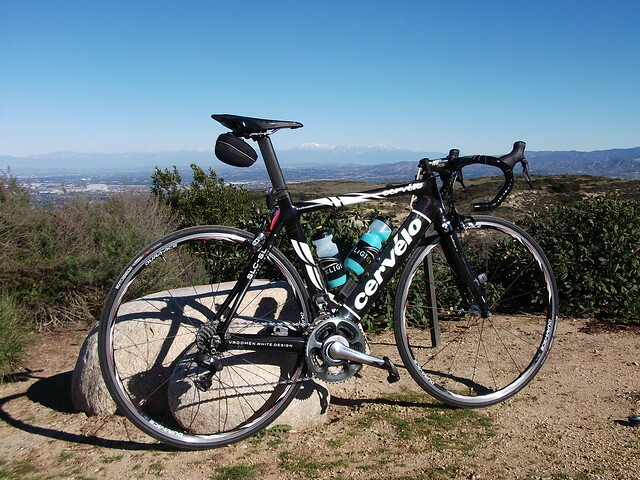 On my ride today (Thanksgiving Day) I rode up to the top of Ridge Park in Orange County, California. Beautiful day with morning temps in the low 40’s and highs in the 70’s. Here are some pictures of Sasha, Soloist SL w/Di 2 and Wireless 7900 SRM with mountains in the background. and just for the heck of it a shot of Newport Harbor and the Pacific Ocean below. 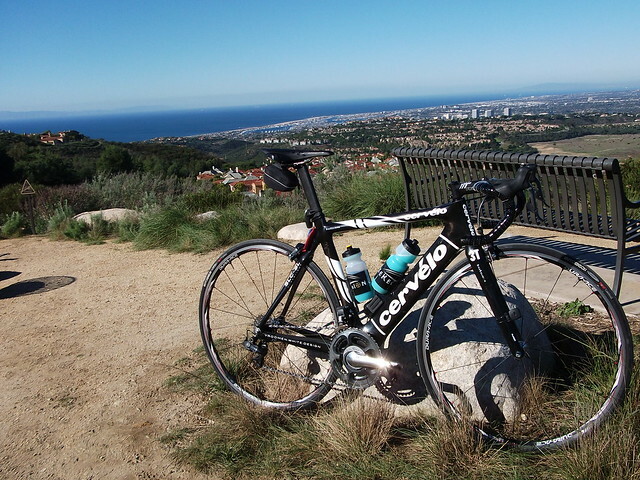 This entry was posted in Sasha by REV Cycling Directeur Sportif. Bookmark the permalink. Hey George, just wondering what’s in your bottles- looks like some kind of laundry detergent- maybe the secret to your endurance? The only secret to my endurance is riding my bike 🙂 However, to stay fueled I use Infinit Nutrition. It is a customizable fueling option. Go to Infinitnutron.com and if you place and order use “vireo” for your discount code and receive 10% off your order.